Summit scarf – pattern found here. It has been blocked, but it’s been so humid that it’s gone a bit curly again. 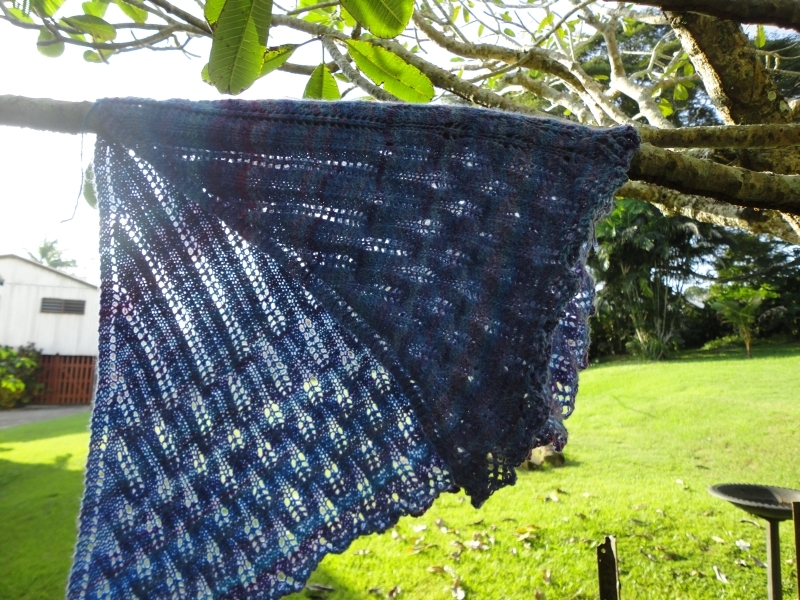 If you’ve been reading this blog for a while, you will know that I love to knit. One of the great ironies of my life is that right now I live in a place where it is never, ever, cool enough to wear knitted items. Knits get carefully stored in anticipation of a visit to a cold place. I’m a process knitter, in that I enjoy the process and the finished item is of secondary importance, but still, it’s nice to actually wear the things I’ve made from time to time. Looking through some photos of me on our trip I was happy to see the knitwear appearing. This is handspun. The fibre was from Nurturing Fibres. 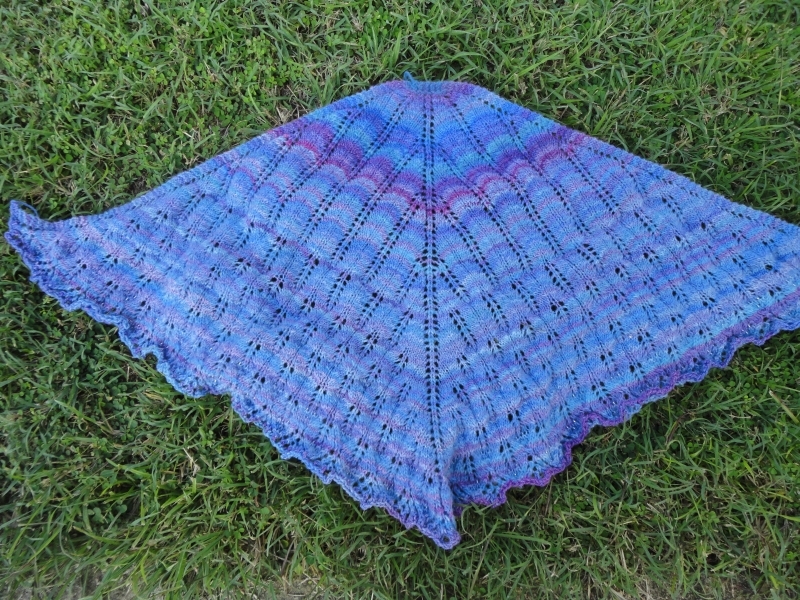 I spun this several years ago, but didn’t get around to knitting it up until last year. Gorgeous Man and Gorgeous Girl also sported hand knit hats (sadly Gorgeous Man’s hat got lost in Atlanta). Gorgeous Girl’s hat was handspun and it always makes me happy to see her wearing things I’ve made. 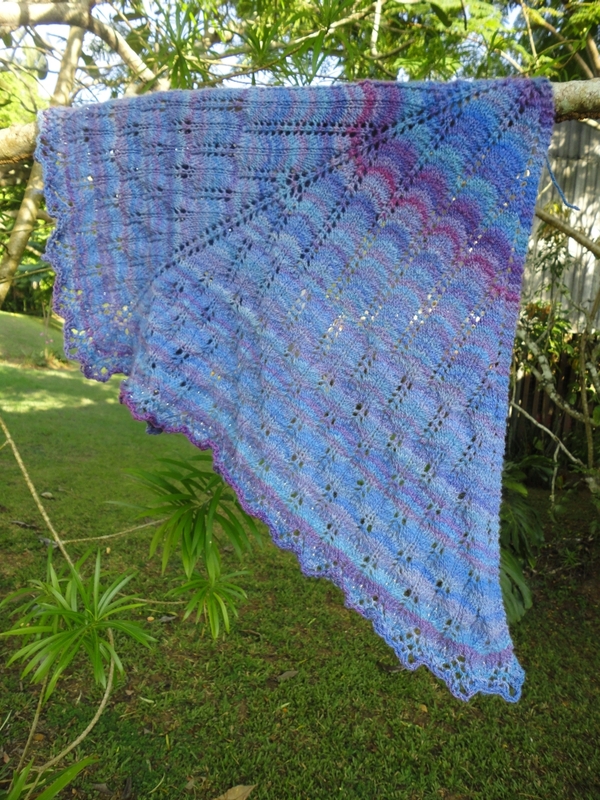 I finished a handspun shawl. I’m really pleased with how this turned out. I have enough yarn left over to (hopefully) make a matching hat. It’s still unblocked. I’m going to leave it unblocked because I’ve got fancy new blocking wires on their way to me. Hopefully pick up in Australia on our next visit and anything blocked here and put into storage will need to be reblocked before wearing in December/January as things go musty. So I’m going to block it at a later date. Hopefully it will grow a little in the blocking process. Yarn is a silk/merino blend and is a navajo ply. It’s been languishing marinating in the stash for at least 4 years. I think it was worth the wait though.